World Interpreting, Inc. is an interpreting company that offers excellent interpreting services worldwide. We provide legal, medical and certified interpreters who are available in any city in the world, and are available to serve your interpreting needs any day of the year. Our interpreters are experts in various subject matters and can provide you with professional interpreting services for various industries. We are available for arbitrations, court interpreting, legal interpreting and medical interpreting, conferences, independent medical exams (IMEs) and examinations under oath (EUO) in over 100 languages. If you require a professional interpreter immediately, please send us an email at info@worldinterpreting.com or use our online form to request a quote. You will hear from us within 15 minutes. Language interpretation is an exacting profession and requires dedication and plenty of experience. Our team comprises interpreters who are fully bilingual, trained in several subject matters and have skills honed by years of international and local experience. They are all dedicated to provide our brand of service, which always exceeds client expectations. They are trained to be accurate, concise and to provide quality service anywhere in the world. We appreciate thoroughness and efficiency and take our work seriously. We like to understand the client, their requirements and the desired result in detail. When you request a quote for interpreting services, kindly provide us with all the required information to ensure the accurate and immediate processing of your request. We assure you that all the information will remain confidential to protect your privacy. At World Interpreting, Inc. we use state-of-the-art interpreting equipment. As a corporate member of the American Translators Association (ATA), we aim to be always consistent in providing professional and world-class service to all our clients. Please feel free to review our credentials and our list of satisfied clients any time. This is the fastest and easiest way to communicate. 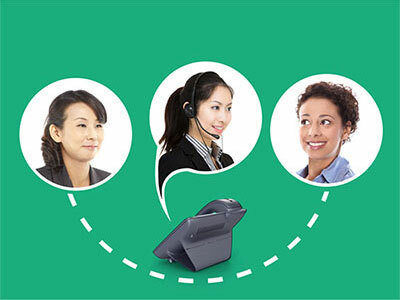 This kind of service is provided when an interpreter is needed over the phone, such as when communicating overseas or setting up appointments by telephone. Over-the-Phone Interpretation (OPI) reduces the high cost of in-person or on-site interpreting. You only pay the time spent the phone with a low per minute rate. All you need is a telephone connection and that’s it! Our In-Person Interpretation (IPI) services offer you with consecutive interpretations and simultaneous interpretations. In consecutive interpretations, the interpreter listens while the speaker talks and then interprets the message after the speaker has finished speaking to the target language. World Interpreting Inc., provides this service mostly for legal depositions in all languages. World Interpreting, Inc. provides certified and highly-qualified professional court interpreters who are experts in various forms of court interpreting and court legalese, in over 100 languages. Our certified and qualified court interpreters are available in any city, to provide you with the best court interpreting service you require. World Interpreting, Inc. helps individuals and small groups in local communities function in an environment that speaks a different language through our community interpreting service. Our certified interpreters work with more than 100 languages and trained to understand various cultural backgrounds, including understanding their traditional beliefs and practices. Allow doctors and patients to communicate directly in a language they both understand. World Interpreting, Inc. has a team of professional medical interpreters to serve your needs 24/7. We work with more than 100 languages and can interpret in any form that will be convenient to your facility, your medical practitioners and your patients. World Interpreting, Inc. has a team of highly trained interpreters for media interpreting work. They fully understand the need for greater speed for interpretation and the constraints for delivery, which includes good diction, regular rhythm and pleasing and lively voice. Our interpreters work with over 100 languages and are available in any city. When you need to communicate quickly with another person or persons in a different geographical location, call on World Interpreting, Inc. We provide excellent over-the-phone interpreters trained in many subject matters and are available to serve your interpreting needs at any time of the day in a language preferred by your clients. Our conference interpreters have vast international conference experience and are specialists in communication between different people and cultures. We have interpreters available for conventions, training sessions, press conferences, sales and business meetings. We offer either consecutive or simultaneous interpretation services in more than 100 languages using state-of-the-art equipment.